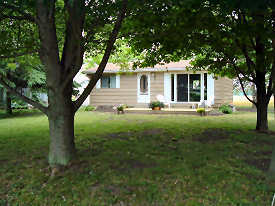 Get away to this cozy Lakeview 3 bedroom family cottage only steps away from private sandy beach. Completely renovated with new bathroom,gas fireplace, pine flooring and private screened porch for hassle free summer nights. 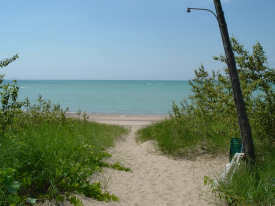 Several Golf courses within minutes and shopping in Historic Bayfield or fun-filled Grand Bend. New screened in porch for quiet evenings or cozy breakfasts. Lakeview deck with beautiful shade trees.